The Chianti Classico region is known for vanity estates owned by successful people from other fields, with the occasional large commercial winery, not 'terroir' wines. In this sense it is rather like Bordeaux or Napa. But there are many exceptions to this, and Castellinuzza e Piuca is just that: a tiny property near the little isolated hamlet of Lamole, a family-run winery that is the epitome of 'local wine.' The grapes are Sangiovese (in this case, Sangiovese di Lamole, the local sub-type) and Canaiolo; the winemaking is simple and transparent; and the wine is wonderful, full of interesting flavors but above all drinkable. Lamole is an isolated hamlet in the Chianti Classico region, between Florence and Siena. It is the origin of a well-known type of Sangiovese, Sangiovese di Lamole, and is located at relatively high altitude (450-550 meters (1,650 feet) above sea level). You get to Lamole by driving south from Greve on the Chiantigiana road, then turning east past the famous old Vignamaggio estate. 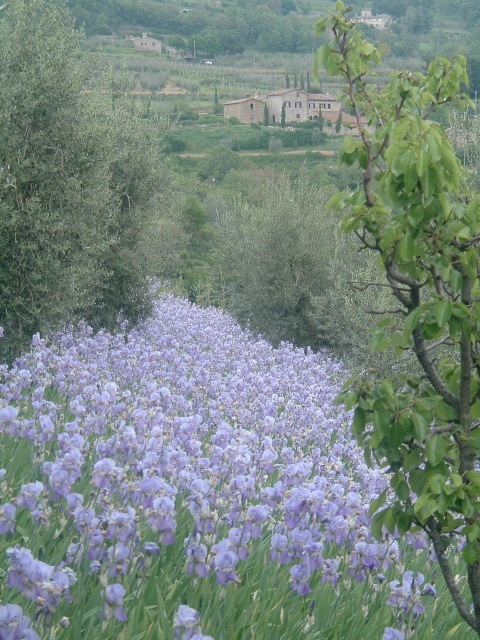 The road goes up a steep hill; just before Lamole you go through the cluster of houses called Castellinuzza, and you have arrived (turn left when you see the huge expanse of irises by the road). Castellinuzza e Piuca is a working farm, but the low-slung buildings and the vineyards and countryside are serene and beautiful. 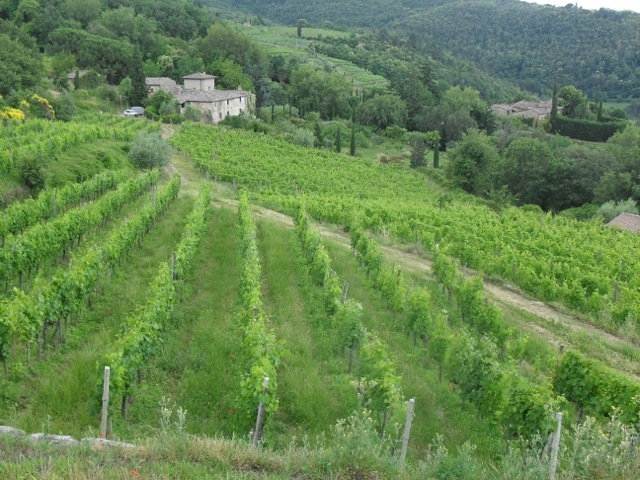 Their grapes come from several small terraced vineyards planted in very rocky and sparse soil. 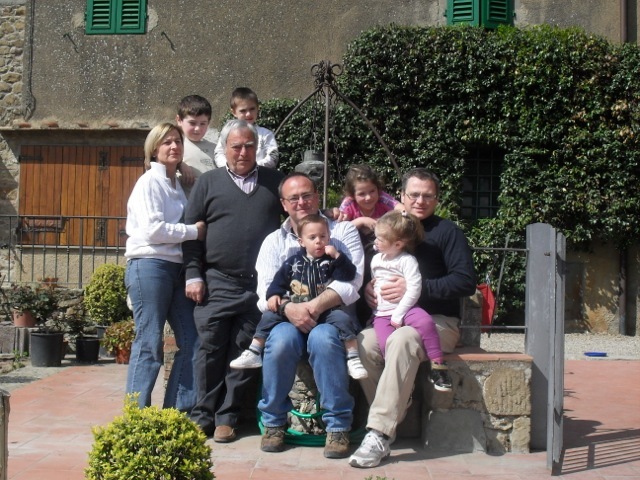 In the words of Simone Coccia, the current owner, "In 1962, after decades of sharecropping ('mezzadria'), at a time when everyone was abandoning the countryside, my father and my uncle bought the estate where they had always worked. In 1985 the estate was divided between the five brothers, and now I farm it with my family. We grow our products with the passion and genuineness of another time, and our wine changes from year to year depending on the sun and the rain. The farm extends over the typical terraces of the Chianti countryside, that are beautiful but also difficult to cultivate. 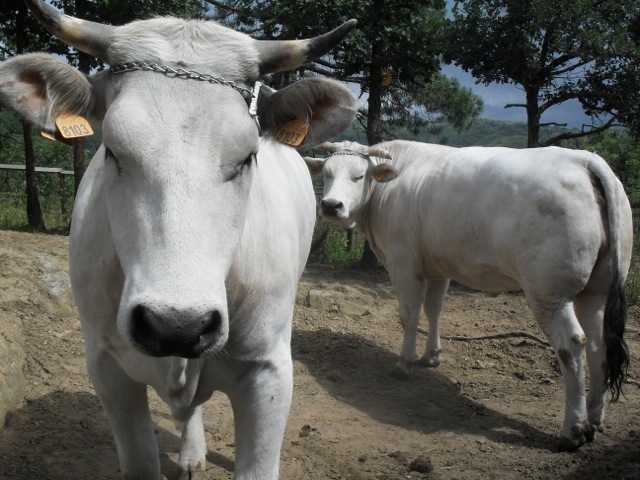 For some years the farm has also kept animal stalls with several cattle, a cow and a horse." Vinification: the grapes are picked by hand into small boxes, then de-stemmed and placed in small stainless steel tanks for fermentation. The primary fermentation (which has been carried out with indigenous yeast since the 2011 vintage) takes about a week, during which time the wine is repeatedly pumped from the bottom of the tank over the 'cap' of solids; after fermentation, the tank is closed and the wine left to macerate for a further 8-10 days, at which point it is drained and pressed. The wine is then aged in cement tanks* for 12-14 months before bottling, with only a coarse filtration (5 micron). *Cement tanks used to be very common, then were almost completely replaced by stainless steel, but some producers retain their old tanks and swear by them; they've come back into style. This is made with the original formula of Chianti, containing 80% Sangiovese and 20% Malvasia Bianca; Baron Ricasoli came up with this combination in the middle of the 19th century, the Sangiovese defining the flavors of the wine, the Malvasia making the wine 'lighter and more suitable for daily consumption.' I consumed some of this last night with spaghetti and meatballs, and found it eminently suitable; the color is essentially the same as that of the Chianti, interestingly*, middling ruby-red, and the wine shows absolutely classic Chianti/Sangiovese aromas and flavors, particularly sour cherry and almonds. This is an excellent everyday table wine. Details: 80% Sangiovese di Lamole, 20% Malvasia Bianca, picked and fermented together (indigenous yeast) with pumpovers for about a week, then left for a further 8-10 days of maceration with the skins. The wine is aged for 12-14 months in cement tanks, then coarsely filtered and bottled. Very simple winemaking, but the vineyards are special, Lamole is famous for Sangiovese, and the high elevation (about 1,650 feet above sea level) ensures nice bright acidity even in warm vintages. * some scientists believe that white grapes fermented with red grapes stabilise the color of the resulting red wine.